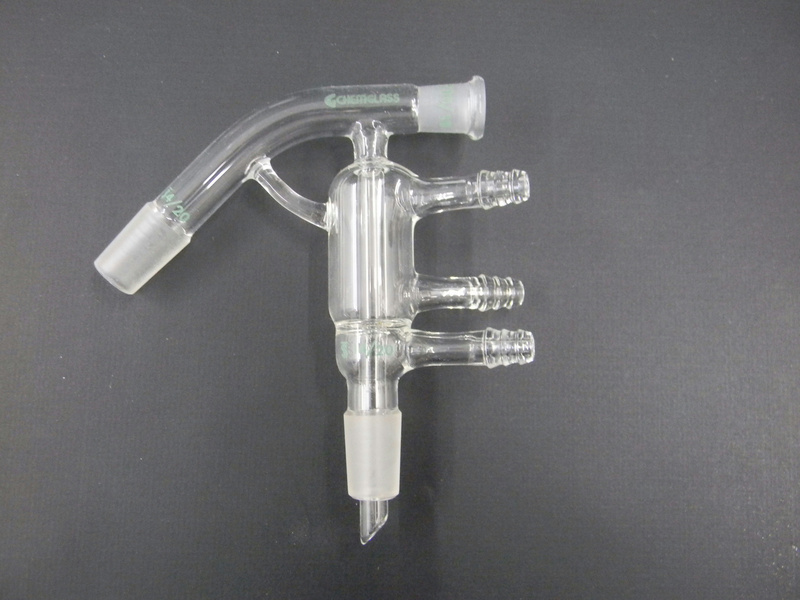 Chemglass Distilling Head Short Path 10/18 Thermometer 4/20 Lower Inner Joint . New Life Scientific, Inc. This is a new distilling head that was originally acquired from a US pharmaceuticals lab. There are no visible cracks or chips to the glassware that would hinder its efficacy. Retail price $166.95 each -- Buy now and save. are for cooling lines while the lower connection is for vacuum. NOTE: The 14/20 size accepts a 1 immersion 7/12 or 10/18 thermometer.